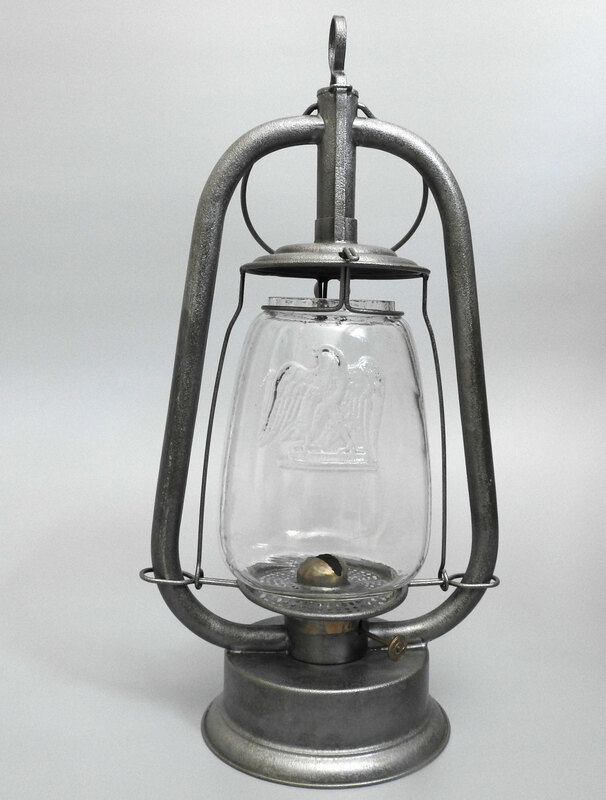 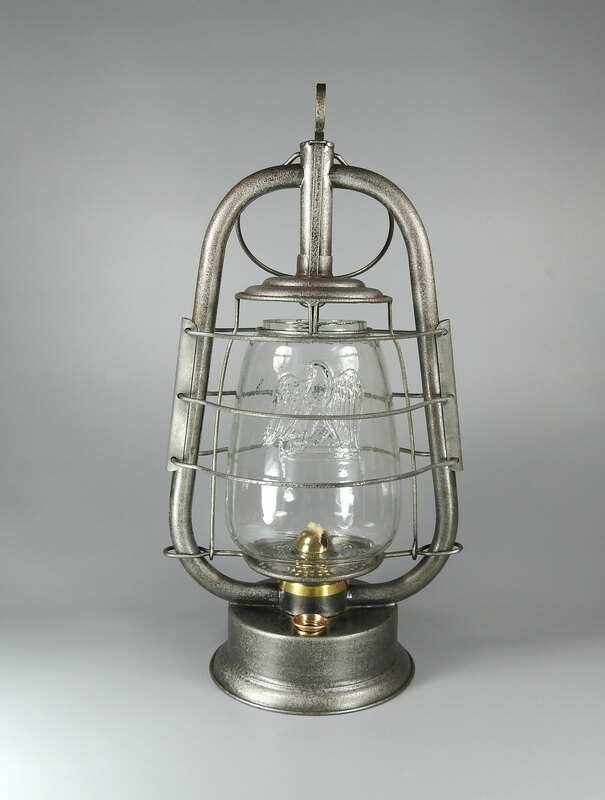 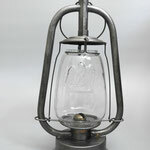 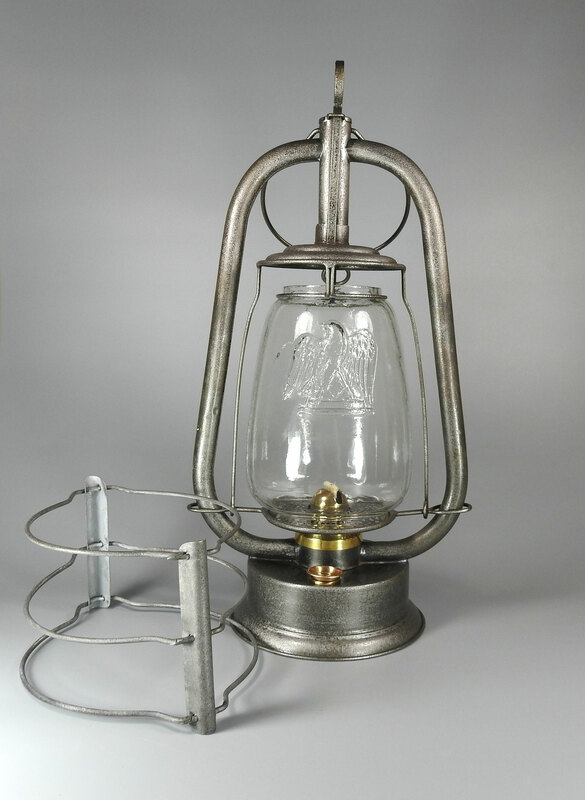 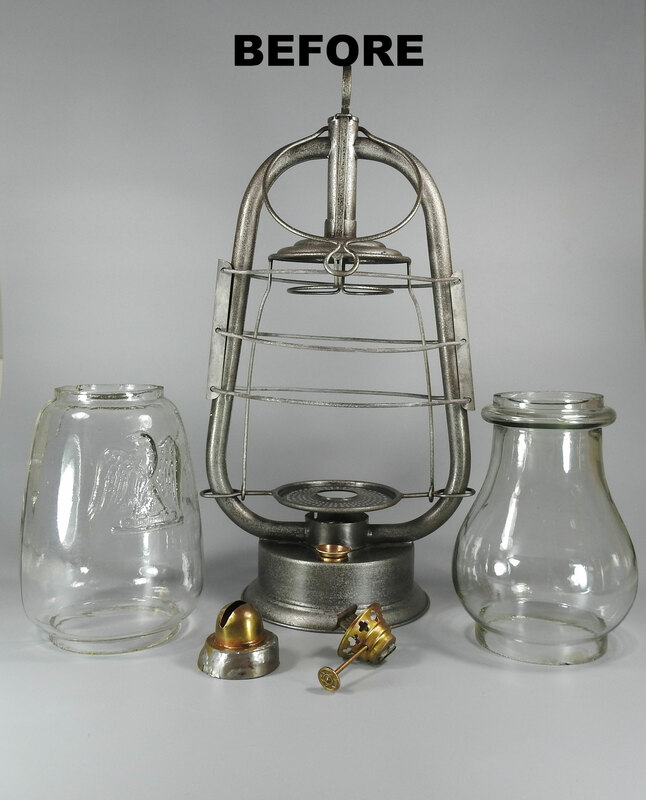 This lantern came with two globes. 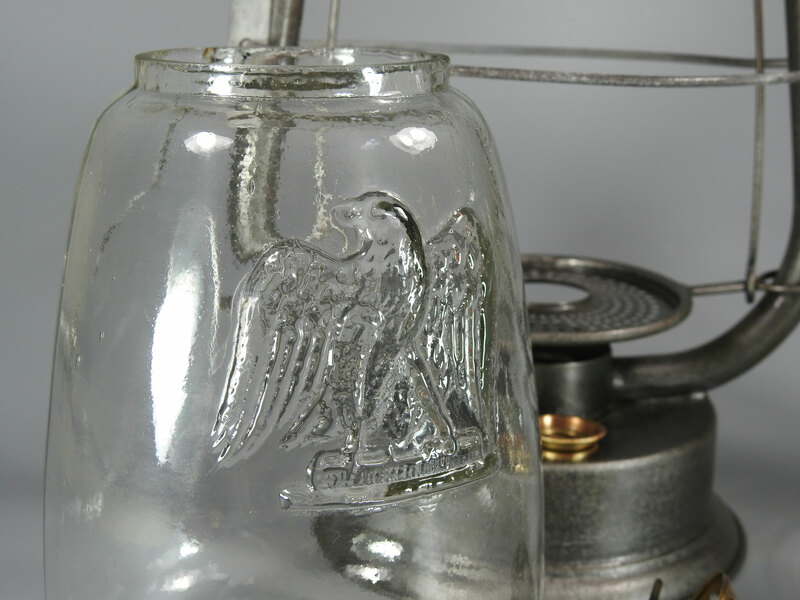 One is the beautiful pear shaped clear globe and the other globe embossed with the Eagle is most likely made by Klöpfel & Sohn. 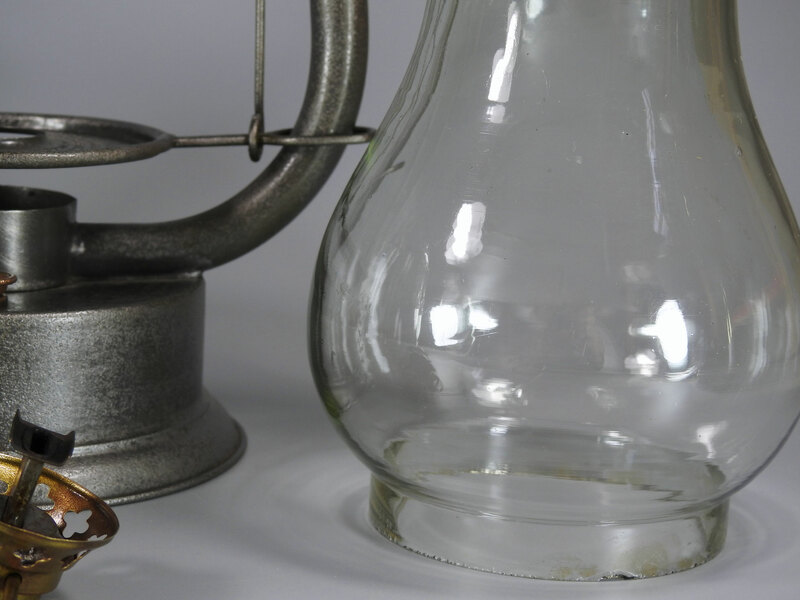 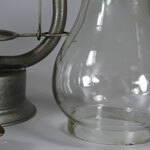 The clear globe is very heavy and has a 'smokey' appearance to it. 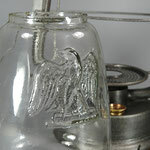 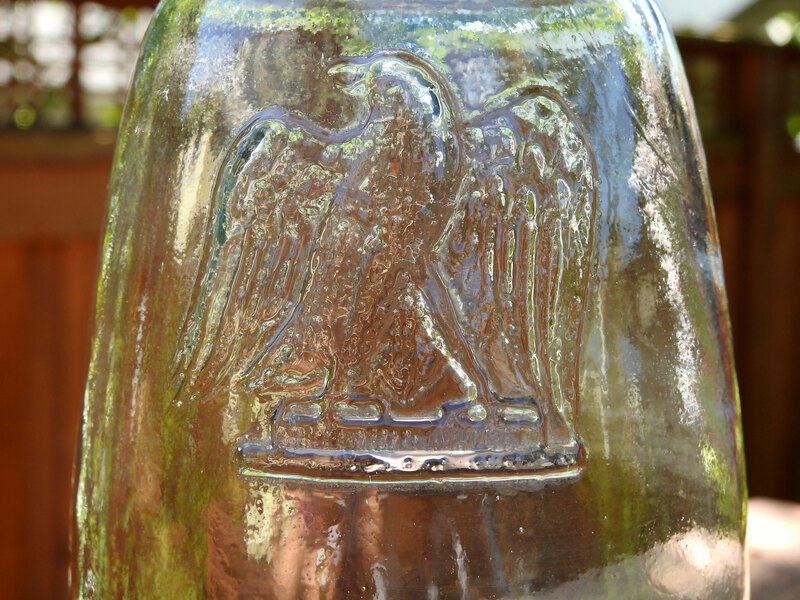 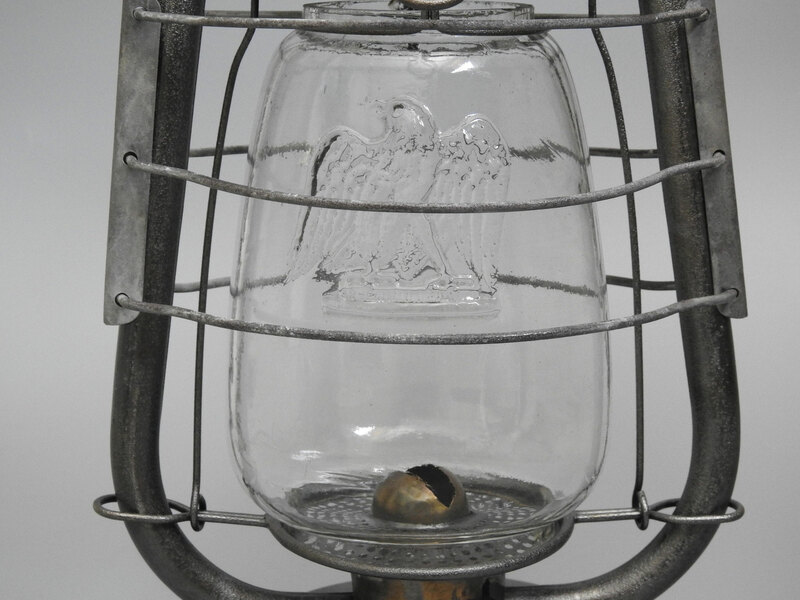 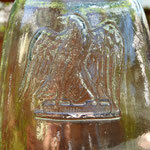 The eagle Globe has a hairline crack on the back, but has not gone all the way through the glass. 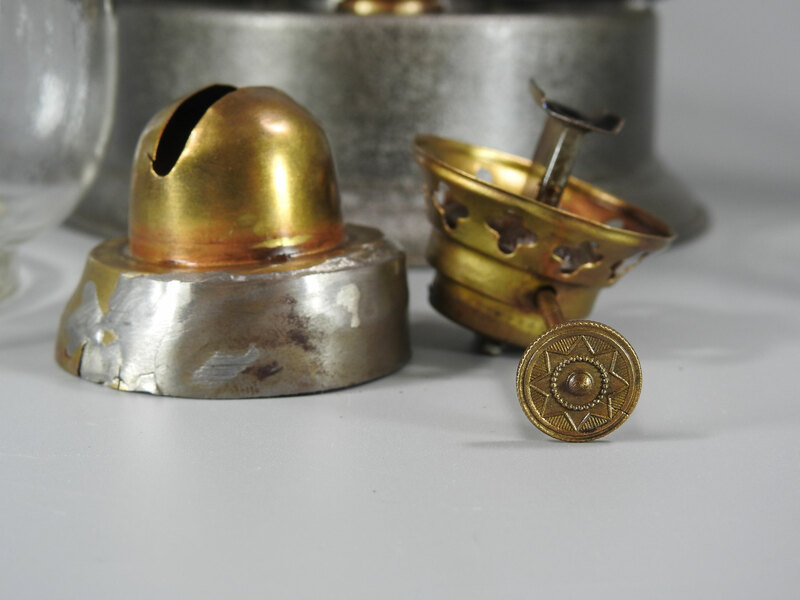 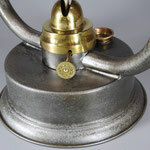 The wick burner was made by Thiel & Bardenheuer - Metallwarenfabrik - Ruhla in Thüringen. 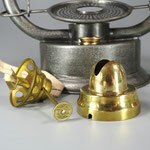 The burner cone is badly damaged with a poor repair job on it. 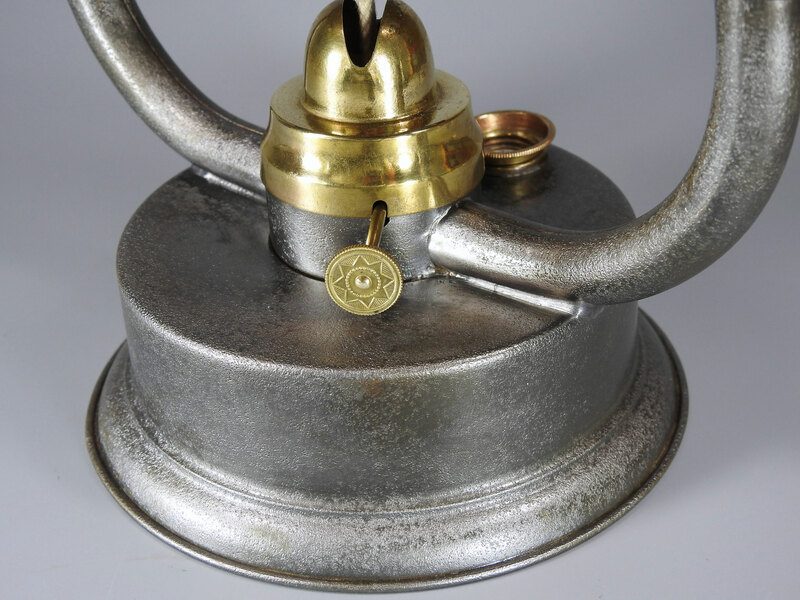 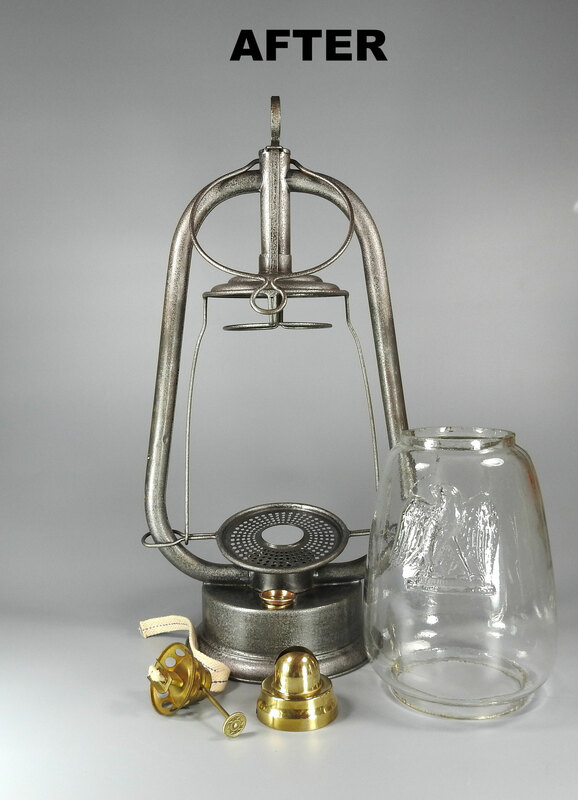 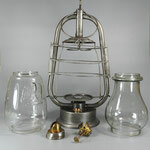 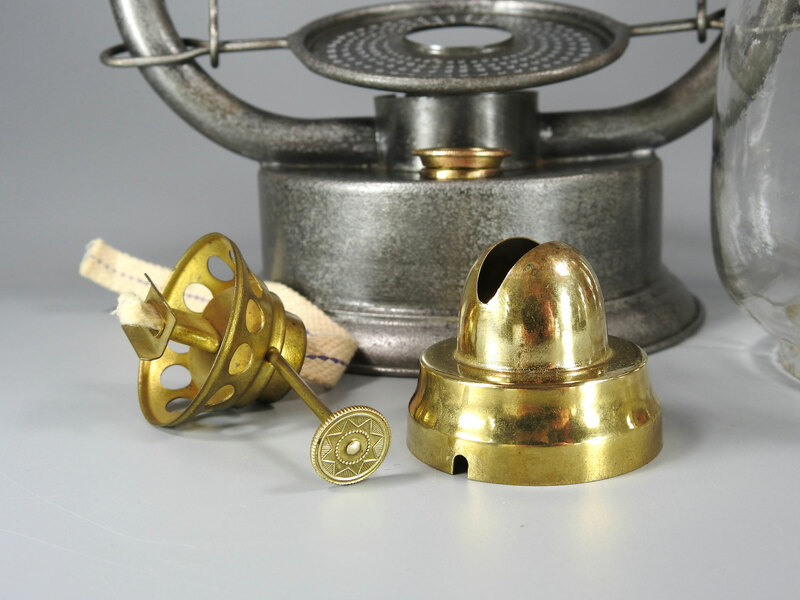 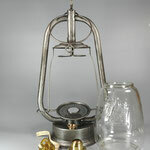 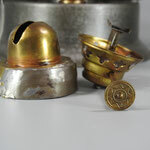 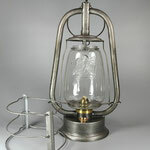 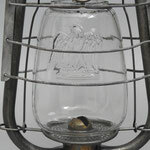 That has been replaced with a Heinrich Friedrich Burner Cone and Burner.